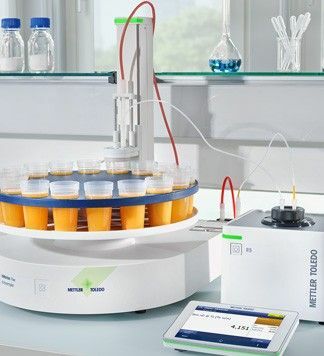 METTLER TOLEDO’s wide range of benchtop and portable digital density meters measure density, specific gravity (SG) and other related values, such as alcohol concentration, BRIX, API degrees, Baumé and Plato with high precision and a short measuring time. Our portable density meter provide automatic temperature compensation. It can be used in the lab or in the field, for instance for testing sulphuric acid content in batteries. Our benchtop density instruments have a built-in Peltier thermostat to accurately control the temperature so a water bath is not required. They can be connected to a refractometer,UV-VIS spectrophotometer, pH meter, titrator or other instruments to measure several parameters simultaneously. Various automation units are available to further improve productivity. Download our free Density Measurement Guide to learn how to improve density measurement with digital density meters. 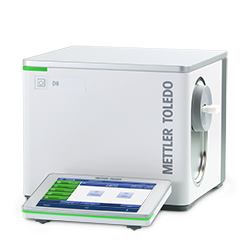 A synonym for quality and innovation, METTLER TOLEDO offers highly accurate benchtop and portable digital density meters, also called densimeters, for a wide range of applications. Designed for use in the laboratory, near the production line, or in storage and receiving areas, our instruments are rugged and intuitive. The measured density or specific gravity can be converted into other units for specific applications, such as API, alcohol%, Brix and much more. Developed for a wide range of applications, Excellence Density Meters allow for workflow automation and multiparameter system. 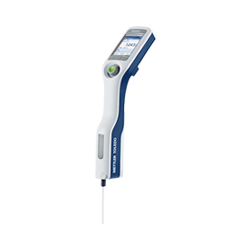 Measure almost any sample with high reliability and precision guaranteed. Save time, reduce costs, and improve operational safety with seamless automation solutions. From simple sampling pumps to heated autosamplers. Increase results repeatability and reliability. Powerful software solutions for density measurement. The paperless operation will ensure data integrity, secure storage and make transcriptions free of errors. Easily review and analyze your data. 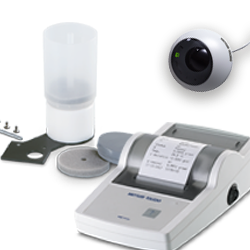 Get the most out of your density meter by complementing it with accessories and consumables. From high tech solutions such as scanners and sensors, to a variety of certified liquid standards and more. The Excellence Density Meters measure liquid samples with an accuracy of up to 6 decimal places. The intuitive One Click™ user interface minimizes training and operator influence. Analyses can be started simply by pressing the corresponding product shortcut. 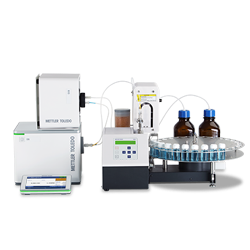 The instrument can be expanded to meet any specific need, adding workflow automation solutions, autosamplers or other instruments for multiparameter measurements. 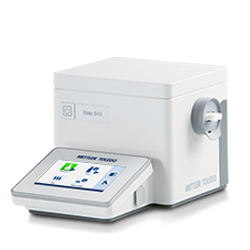 The EasyPlus Density Meters offer basic solutions for measurements in the lab or near production, with an accuracy up to 4 decimal places. 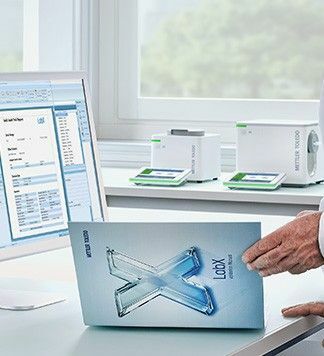 Fast measurements with automatic temperature control, small sample volumes and minimal operator dependency make METTLER TOLEDO Standard Density Meters a powerful solution for managing your daily routines. The Density2Go line is ideal for all applications: from quality control of incoming goods to at-line quality assurance of intermediate products. Lightweight and ergonomic, it fits comfortably in the hand and, thanks to the automatic sampling pump, creates a strain-free measuring experience. Users can be guided through multi-step procedures and receive color-coded pass/fail information. With the Excellence Density Meters, automation of density measurement leads to more reliable results, increases safety, and prevents errors, reducing the need for operator interaction with the instrument. This saves time, reduces costs and improves operational safety. Density and refractive index are frequently determined for the same sample. 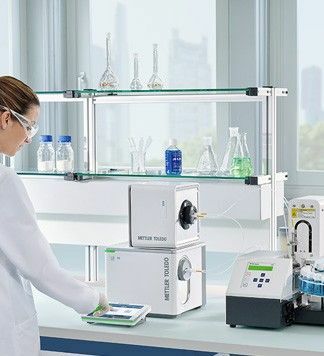 Our space-saving system enables you to combine an Excellence Density Meter with an Excellence Refractive Index cell to measure both parameters in one go. Further instruments can be connected for simultaneous measurements, e.g. of density, refractive index, pH and color. 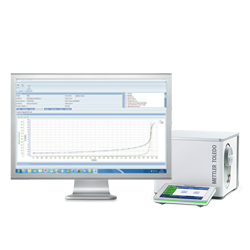 METTLER TOLEDO offers powerful software solutions for density measurement. Paperless operation ensures data integrity, secure storage, and error-free result recording. Data can be reviewed and analyzed easily, and reports are one click away. Get the most out of your density meter by adding specific accessories to enhance your workflow or adapt the instrument to unique applications. Check your instrument with certified standards to guarantee measurement accuracy. Developed for a wide range of applications, our intuitive Excellence Density Meters will measure almost any sample. What is a digital density meter and how does it work? What is a digital density meter? How does a digital density meter work? Which instruments are used to measure density of liquids? What is the density of air? How much sample volume do you need for a digital density meter? How much time do you need to measure a sample with a digital density meter? How do you adjust a digital density meter? Which samples can be measured with digital density meters? What is the influence of viscosity on digital density measurement? A digital density meter (also called densimeter) uses the oscillation tube technology to measure the density or related values of a liquid sample. This measurement is done digitally, reducing operator influence considerably. 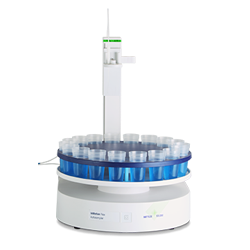 Accuracy of up to 0.000005 g/cm3 can be reached, with small sample volume (approx..3mL) and short measuring time (less than a minute). Digital density meters use a U-shaped hollow glass tube, which is put into oscillation. The oscillation frequency of the tube filled with the sample is measured. This frequency changes when the tube is filled with the sample: the higher the mass of the sample, the lower the frequency. This frequency is measured and converted to density. In addition, benchtop digital density meters use a built-in Peltier thermostat to control the temperature of the sample. The density of a solution can be measured manually or digitally. For more detailed information on how to measure density with pycnometers, hydrometers and digital density meters please see our 3 Ways to Measure Density guide. Manual methods like pycnometers and hydrometers are widely used for the determination of density and related values, e.g. specific gravity, alcohol%, BRIX°, API degrees, Baumé, Plato, etc. Although these methods are easy to use and quite inexpensive, they require expertise in every step of the manual operation protocols, which often affects the accuracy and reliability of the results. A Pycnometer is a glass beaker of defined volume. It is weighed without the sample (M1), then filled with the sample and weighed again (M2). The difference between M1 and M2 divided by the volume of the beaker is the density of a sample. A Hydrometer is a glass body which is dipped into the sample. After a short equilibration time it will float a certain level. The higher the density of the sample, the less the hydrometer will float. The level of equilibration reads the density. A Density Kit is used together with a balance. A glass body of defined volume is weighed in air (M1), dipped into the sample and weighed again in the sample (M2). The difference between M1 and M2 (buoyancy) divided by the volume of the glass body is the density of the sample. A special holder can also be used to measure density of solids, using a reference liquid (water, ethanol or user defined). Digital Density Meters are available as benchtop and handheld instruments. They use oscillation tube technology to very accurately measure the density of a sample in a short time. A hollow glass tube vibrates at a certain frequency. This frequency changes when the tube is filled with the sample: the higher the mass of the sample, the lower the frequency. This frequency is measured and converted to density. In addition, benchtop digital density meters use a built-in Peltier thermostat to control the temperature of the sample. The density of air is 0.00120 g/cm3 at 20°C and under atmospheric pressure of 101.325 kPa ((i.e. at sea level). This atmospheric pressure changes with the weather conditions (lower pressure when rainy, or snowy weather) and with the altitude (lower pressure at high altitude than at sea level). At an elevation of 440 m above sea level for example, the atmospheric pressure (yearly mean) is 96.12 kPa only and the mean air density becomes 0.00114 g/cm3 at 20°C. The density of water is 0.99820 g/cm3 at 20°. The density of water changes with the temperature, it increases from 0°C to 4°C (where it is nearly 1) and then decreases from 4°C to higher temperatures. The typical volume of a U-shaped hollow glass tube used as a measuring cell in a digital density meter is around 1mL. For trouble free filling a bigger volume is recommended, typically 3 mL to 5 mL would be used with a syringe in order to have part of the drain tube also filled with the sample. This depends very much on the temperature difference between the sample and the measuring cell and on the sample type. It depends also on the required accuracy of the measurement. This measuring time can typically range from a few seconds with a portable digital density meter without temperature control to about 2 to 5 minutes with a bench top instrument with active temperature control. Usually density meters are adjusted with air and water, at a specific measuring temperature. This temperature is controlled with a Peltier element, which can cool down or heat up the measuring cell to a specific temperature (e.g. 20°C). First, the frequency of the measuring cell filled with air is measured. This first frequency is assigned to the density value of air. Then the measuring cell is filled with water and the frequency of the measuring cell filled with water is measured. This second frequency is assigned to the density value of water. This two point adjustment can also be done with air and a standard, or with two standards covering different density ranges. These density meters are designed and intended for measuring homogeneous liquids originally. In reality many other samples are measured as well with good success. If the sample viscosity can be brought down to below 36'000 mPa*s by heating at the pumping temperature (e.g. paraffine), they can even be measured fully automatically with a heated automation unit like the SC1H or SC30H. Samples with higher viscosity can be measured manually, if they can be filled into a syringe without trapping air pockets, and if the operator can then press these samples out at a controlled speed through a narrow, about 15 cm long tube. Samples which attack the glass U-tube of the measuring cell (e.g. hydrofluoric acid, liquids or pastes used for etching glass) should not be measured with such density meters. The viscosity of the samples has an impact on the density measured with a digital density meter. The higher shear force which occurs between the fluid and the tube wall results in slowing down the oscillation frequency, thus showing a higher density value. Modern digital density meters therefore have a built-in viscosity correction, which compensate this effect and show correct results.